Scientists tune into the music of the spheres. 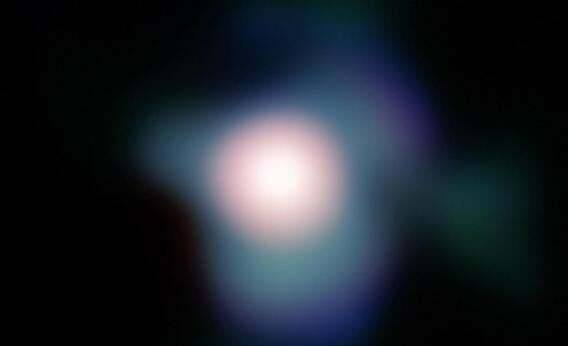 The supergiant star Betelgeuse, in the Orion constellation. Instead of examining occasional, fitful tremors, sun-like stars have a deep resonance. The internal sound waves of the star are trapped inside, moving back and forth. Eventually they achieve a specific vibration, the way a musical note resonates in a tuning fork. This vibration causes the outside of the star to pulse, gently, like it’s breathing. The deeper the resonance, the larger the star. By tracking this resonance, researchers are able to find its size, and from there, they’re able to track its light and motion to detect planets.